Business apps are a hard subject. There are a variety of variables to consider and too many apps, so much promises. Some variables may include team size, business size, how well the app scales to demand, and tons of other stuff. Many business apps are great for huge teams while others do better for business people individually. Some businesses are always in the market for better stuff while others opt to make their own solutions. So today, we will speak about a great sales tracking business tool called Twib. If you’re a business owner or a salesmen then paid attention to our today’s proposal, because here we have a quite useful app that will help you to track your employees in their day to day activities and capturing the real data from their location. 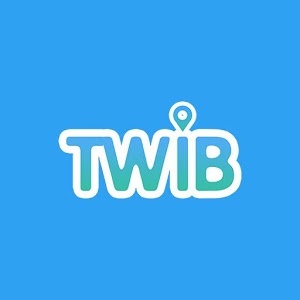 The name of the app is Twib, a sales tracking, employee monitoring app a web-based GPS admin panel to track sales visits and reporting more efficiently with images. This app contains inputs from various successful business industries and was designed in a way that the tracking method becomes effortless so the employers could focus on their business to become more efficient and productive. Using this app the sales employee could take pictures with GPS details, feed on his/her daily expenses and of any outdoor marketing activity that has been done. The reason why Twib is one of the best sales tracking app is because it’s useful for as sales monitoring system, employee tracking & sales tracking tool for the business owners/employers / managers and as sales analytics metrics & sales performance metrics and reporting for the sales employees. The last great thing that we must emphasize about this app is that is cloud-based, that means you can access the tracking data from anywhere. You can try it for free on Google Play!